You may be thinking what in the world is Nice Cream? Well, its basically ice cream made out of strictly ripe frozen bananas blended to silky perfection. Of course, the Middle Eastern in me chose pistachios as the flavor profile for this particular nice cream. Pistachios are used predominantly overseas. 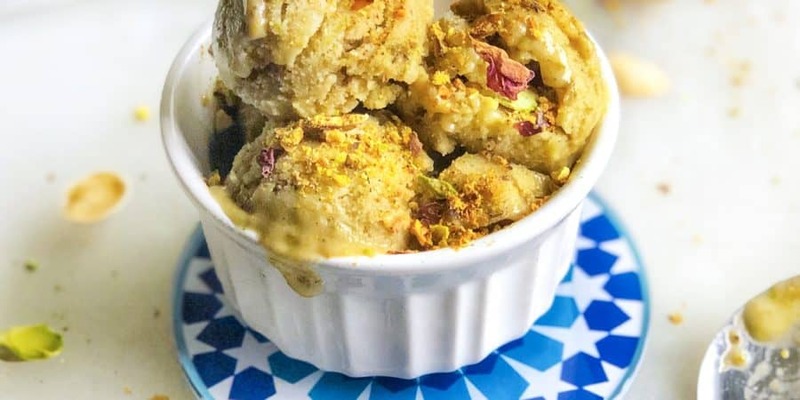 Booza Arabia (Arabic Icecream) is actually made out of smooth yet sticky vanilla based ice cream with loads of crushed pistachios. This is reminiscent of that but much healthier and easier to make. In a high speed blender or food processor, add the frozen bananas and puree for about 5- 8 minutes until it starts to become creamy. Add the honey, vanilla, rose water, pistachios butter and nuts until mixed and silky smooth. 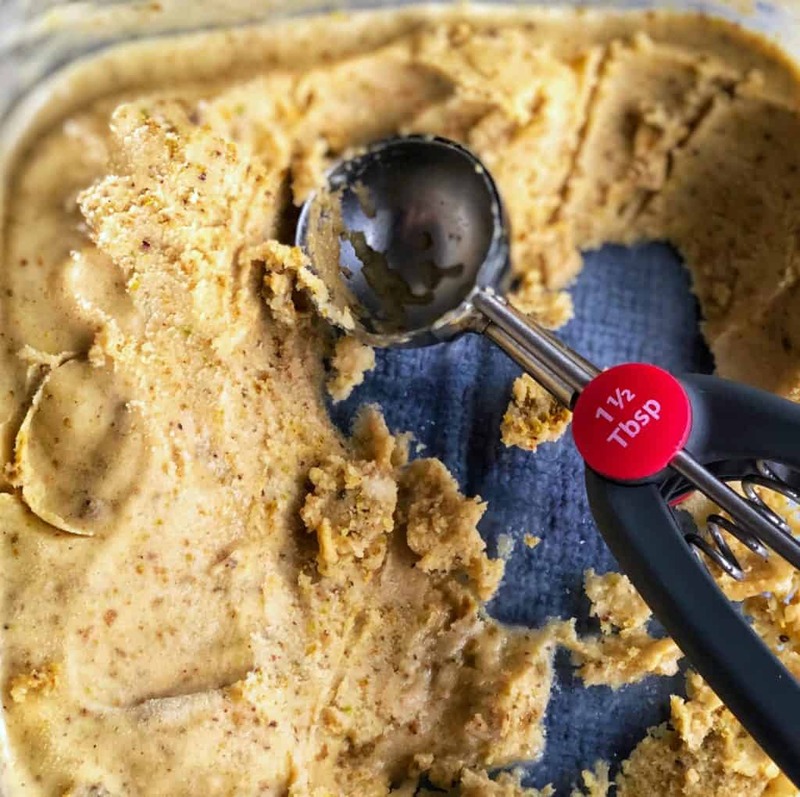 Transport the nice cream to a large air tight container and place in the freezer for an hour before servings o it is more ice cream like. This will last for 2 weeks in the freezer in an air tight container. In a blender or processor, blend the pistachios on high for about 8 min until the pistachios are super fine and becoming paste-like. Add the coconut oil and sweetener and blend another 2 minutes. Make sure to keep cleaning the sides of the blender and shift the pistachios down every few minutes.